Newly appointed Communications Minister Stella Ndabeni-Abrahams is the latest South African Broadcasting Corporation stakeholder to draw a line in the sand over proposed retrenchments, according to a letter apparently leaked from her office. 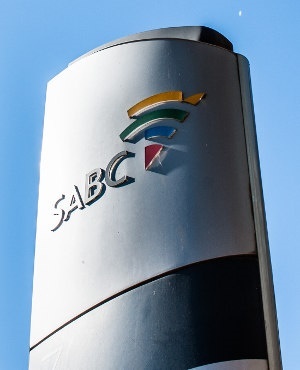 The strongly worded letter, tweeted by TV analyst Thinus Ferreira on Sunday, tells SABC chair Bongumusa Makhathini that the department will disengage from all interventions aimed at pulling the public service broadcaster out of its financial quandary. The minister is tagged in the tweet, as is President Cyril Ramaphosa and the official SA government account. The SABC has indicated that it is looking to reduce the number of permanent employees by 981 people, and the number of freelancers by 1 200. Various political parties in Parliament have said retrenchments should be avoided as far as possible. The SABC refused to budge from its decision to retrench staff and freelancers as a cost-cutting mechanism and the department, therefore, cannot continue discussions with the broadcaster on its calls for a R3bn government guarantee or bailout, the letter says. Despite the fact that Parliament, through the Standing Committee on Public Accounts and the Portfolio Committee on Communications, declined the SABC’s request to go ahead with retrenchments in terms of section 189 of the Labour Relations Act, the SABC insisted on going ahead, it added. "The board further made it clear at a meeting that irrespective of the success of a government guarantee or bailout, they will still proceed with retrenchments. "As the shareholder representative, we are left with no option but to desist from all engagement with the SABC board…as we realise that the board is no longer acting in the interests of the company, shareholder and Parliament," the letter says. Spokesperson for the Department of Communications Chrispin Phiri could not be reached to verify of the letter or to comment on its contents. Fin24 tried to contact the spokesperson via telephone, text and email.